When will be The Roy Files next episode air date? Is The Roy Files renewed or cancelled? 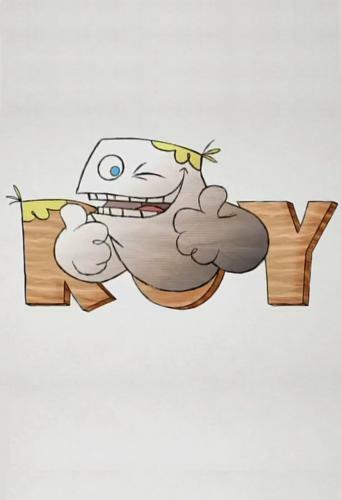 Where to countdown The Roy Files air dates? Is The Roy Files worth watching? A exclusive insight into the world of Roy O'Brien, Ireland's only animated boy living in the real world. Roy becomes so immersed in Japanese culture for a school project that he ends up turning totally manga. Roy's knowledge of Japan may end up saving the day for Mr Hammond. Roy insists to Bill and Maura he is old enough to go alone but they insist that a reluctant Becky tags along as his chaperone. Annoyed that his parents still treat him like a baby, Roy runs off to prove his independence. But in his eagerness, Roy may have bitten off more than he can chew. Roy manages to secure the role of the Prince in a version of Sleeping Beauty. Unfortunately, Roy panics when he realises that this means he has to kiss Tara. Becky gives him terrible advice, as does Bill. Will Roy get his first ever kiss and will his crush on Tara affect their friendship? When Roy accidentally falls into a film projector, Roy and Mr Hammond swap bodies. Both get a crash-course in what it's like to be in the other's shoes. The Roy Files next episode air date provides TVMaze for you. EpisoDate.com is your TV show guide to Countdown The Roy Files Episode Air Dates and to stay in touch with The Roy Files next episode Air Date and your others favorite TV Shows. Add the shows you like to a "Watchlist" and let the site take it from there.